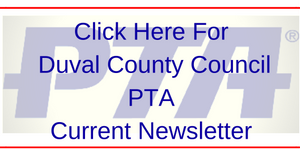 Duval County PTA provides programs that benefits, parents, teachers and students. The past year had several nation winners as a result of these programs. Congratulations to Haley Pafford, Douglas Anderson School of the Arts PTSA who received the 2016 National PTA Reflections Award of Excellence in Dance Choreography. For a complete list of winners, 2016 National PTA Reflections Awards. The 2016-17 National Reflection Theme Winner “What Is Your Story” is from Duval County Student Breanna Eisman, Douglas Anderson PTSA.